The treat-to-target approach for serum uric acid is the recommended model in gout management according to the 2012 American College of Rheumatology (ACR) guidelines. Adherence to an urate-lowering therapy (ULT) can be difficult for patients due to barriers, including medication burden, financial hardship, and lack of medical literacy. Additionally, practice gaps may occur with providers in titration of ULT to targeted serum uric acid. We examined the practice gap in gout management at an academic rheumatology clinic, which cares for a complex county patient population. Our aim was to create a pharmacist-managed referral for the titration of ULT to target serum uric acid levels. A clinical database was utilized to query patients seen in rheumatology clinic over a twelve-month period with ICD-10 diagnosis for gout. The inclusion criteria were indications for ULT per 2012 ACR guidelines with the most recent serum uric acid level above target (>6 mg/dL or > 5 mg/dL if tophaceous and/or erosive disease). Rheumatology providers were asked to consider referral for the identified patients to the clinical pharmacy for assistance with titration of ULT (allopurinol or febuxostat) to target serum uric acid levels based on ACR guidelines. The intervention group consisted of 14 patients who were referred during the five-month study period. The control group consisted of 22 patients who met inclusion criteria and seen within the same time frame but not referred. Referral was based on provider preference. At the end of the study period, the most recent serum uric acid levels were collected to assess effectiveness of pharmacist-managed titration of ULT. The patients in the intervention group had an average age of 60.5 years, 78.6% were male, and 42.9% had erosive or tophaceous disease. The average serum uric acid was 8.26 mg/dL (SD 1.48) at the time of referral. At the end of the study period, the average serum uric acid was 6.78 mg/dL (SD 1.84), which was a 1.48 mg/dL decrease (P = 0.03). 4 out of 14 (28.57%) patients were at goal by the end of the study. The patients in the control group had an average age of 54.2 years, 86.4% were male, and 45.5% had erosive or tophaceous disease. The average serum uric acid was 8.365 mg/dL (SD 2.037) at the start of the referral period. At the end of the study, the average serum uric acid was 7.645 mg/dL (SD 2.448), which is a decrease of only 0.72 mg/dL (P = 0.166). Only 2 out of 22 (9.09%) patients were at goal by the end of the study. Our institution treats a complex patient population with significant barriers to treatment. This newly instituted pharmacist-managed titration program was able to achieve a significantly lower average serum uric acid than the control group who received standard gout management. Although the program remains novel, reasons for its success likely include more timely uptitration of ULT, more personalized education regarding gout and importance of medication adherence, and closer monitoring of side effects including flares. Pharmacists should be integrated into the rheumatology clinic to help patients reach their serum uric acid goals. Disclosure: I. Huang, None; J. Liew, None; M. Barnes, None; S. Zuo, None; C. Crawford, None; A. Bays, None. Huang I, Liew J, Barnes M, Zuo S, Crawford C, Bays A. Pharmacist-Managed Titration of Urate-Lowering Therapy to Streamline Gout Management [abstract]. Arthritis Rheumatol. 2018; 70 (suppl 10). 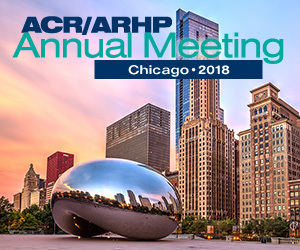 https://acrabstracts.org/abstract/pharmacist-managed-titration-of-urate-lowering-therapy-to-streamline-gout-management/. Accessed April 18, 2019.